Team riders have come and gone over the past 25 years. 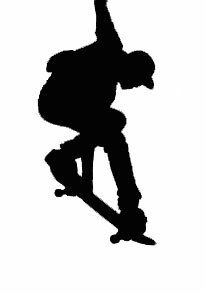 Some don't skate any more, others still do, others are pro riders in the spot light still today. What ever they are doing now, they have helped to shape our company in many ways, and to some extent are responsible for who we are today. Thanks guys, .... and gals for all your input and efforts it was a pleasure to know you and be able to do my small part to help you on your way. If you have any pics or any further comments you'd like me to put up about you, I'd only be too happy to do so.